Do you want to spend your life as a super-rich family who have their own palace or seven star hotel? 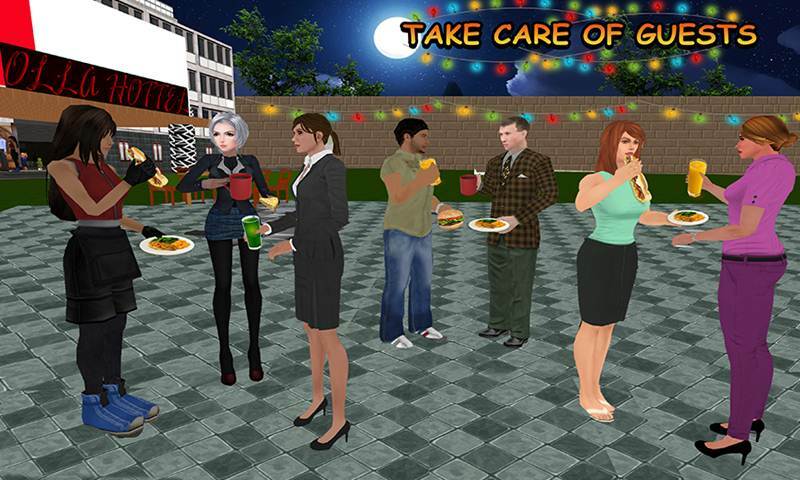 Join the most Realistic Simulation of a Milliners family in Virtual Happy Family: House Party simulation game. You know what is the best part of being in a super-rich family?? You can party all day and all night. You just need to enjoy the life and don’t need to work. Enjoy the most amazing Virtual Happy Family: House Party game that will lead you in to the life of a billionaire. 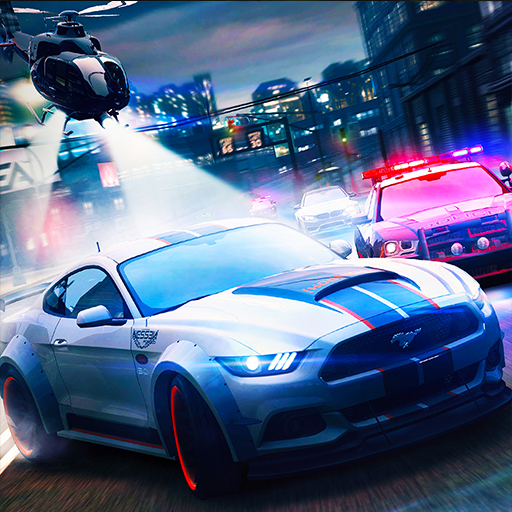 You will love the game if you like virtual games or happy family games. 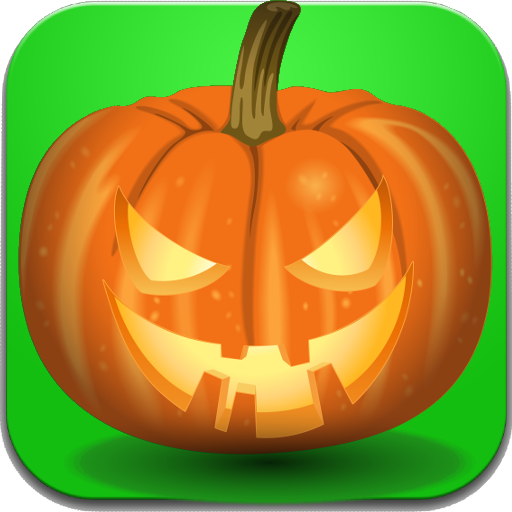 Enjoy the House party with your friends and family. You will be organizing and managing a house party. Make sure all the guest enjoy the party and eat till their bialy fills out. You will be the richest person in your family relatives. You will be calling them to a house party you have organized at your new house with pools, Discos, and Dinner halls in your house along with the In-house Movie Theater. 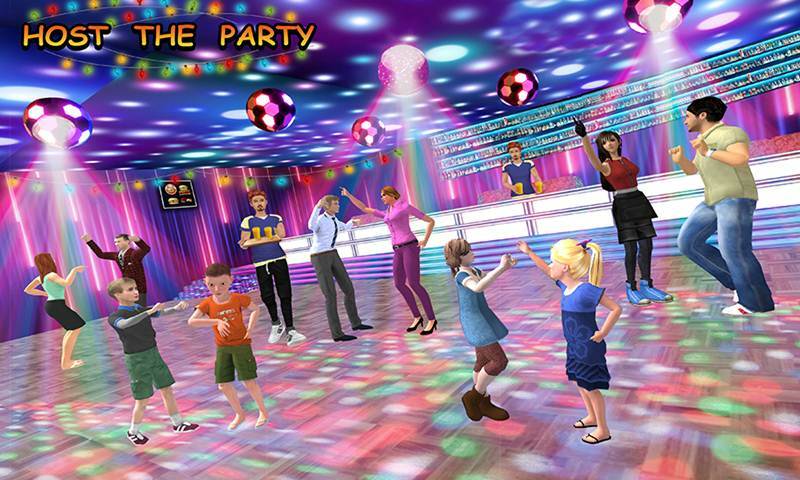 Game play of Virtual Happy Family: House Party is designed in such a way that you will lead them to the dance floor in the first few levels. You will need to make sure all the guest are entertained and are enjoying the House party. As the head of the family it’s your duty to make sure that all the guests are received well. Food need to deliver to all the tables. You don’t need to work all the time. Make sure you enjoy the party as well. Virtual Happy Family: House Party will be an experience that will lead you into whole new level. Once party is over make sure all the guests left your house happily. You will need to make sure that all your friend get a proper good bye. Once every one is gone find your family in your Giant house along with your wife. 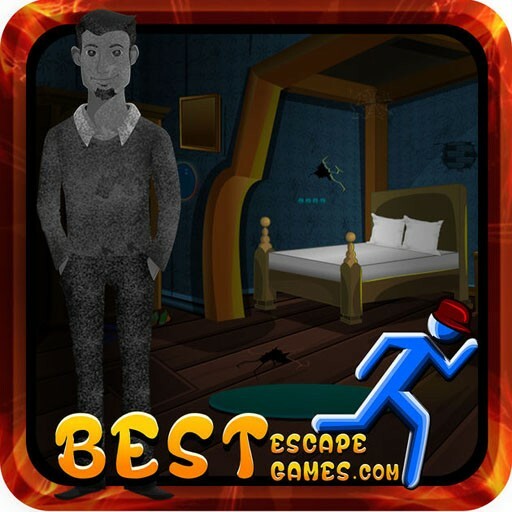 Enjoy the most amazing Virtual Happy Family: House Party game that will lead you in to the life of a billionaire. 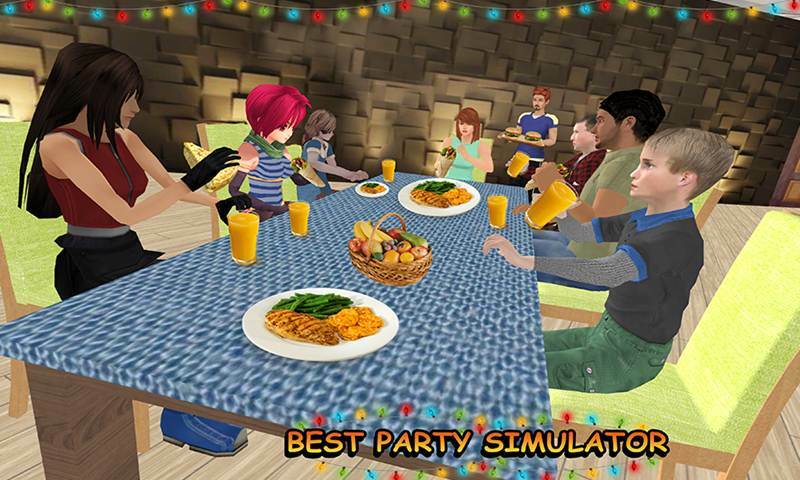 Join the most Realistic Simulation of a Milliners family in Virtual Happy Family: House Party simulation game. You will be organizing and managing a house party. Make sure all the guest enjoy the party and eat till their bialy fills out. Just Enjoy!!!!! !